If you’ve ever seen any of my home decor posts then you will probably know that I’m a sucker for a candle! Sitting in our living room right now I can count at least nine (told you) and that’s just one room!! 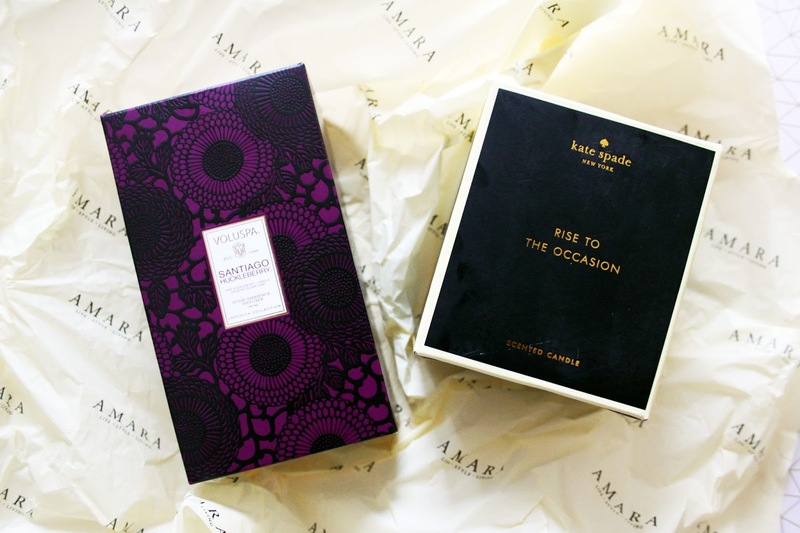 When Amara asked me to take their home fragrance quiz and find the perfect scents for my home I just couldn’t resist adding to my ever expanding collection. I took the quiz and discovered that my perfect fragrance is sweet, which is completely on the money. I hadn’t noticed until now but I tend to go for the more fruity, vanilla scents, and generally those that smell good enough to eat! 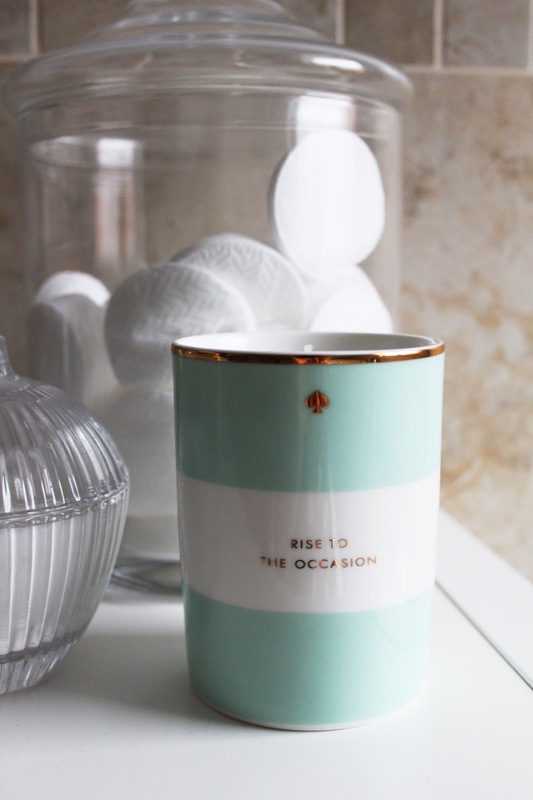 From the selection of sweet home fragrances, I picked out a gorgeous Kate Spade candle called ‘Rise To The Occasion’ which reminds me of patisseries and bakeries and smells incredible, and I also found a lovely reed diffuser by Voluspa in the scent Santiago Huckleberry, which is fruity and reminds me of holidays and sunshine! They couldn’t be more different, but they both smell beautiful and work in different rooms of the house. 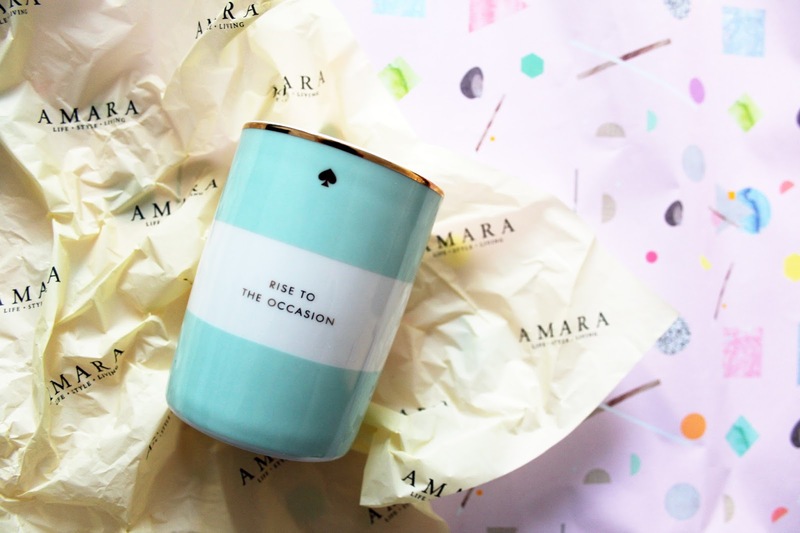 The Kate Spade candle now takes pride of place in the bathroom as it’s subtle sweetness is perfect alongside a warm bubble bath, plus the chic mint green packaging fits in perfectly with our decor in there. 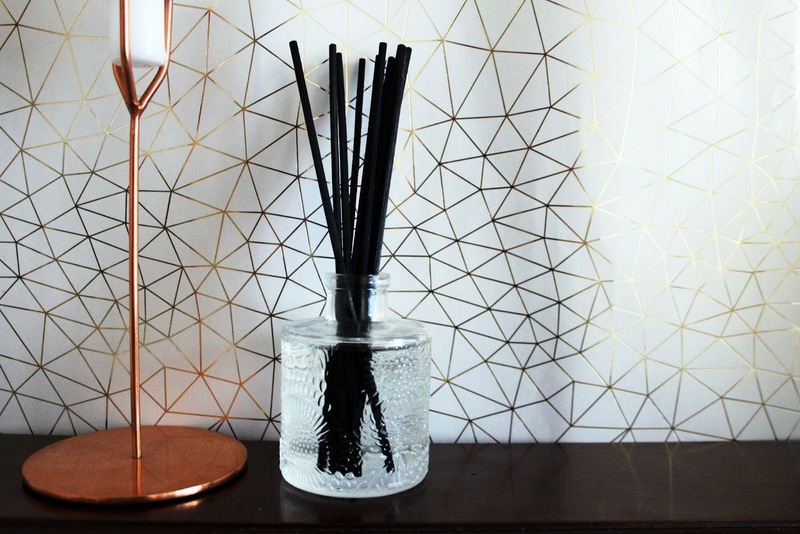 The Voluspa reed diffuser lives in our living room as it’s the first room you come to when you walk in the house, and I always like there to be a hit of fragrance to welcome you as you arrive! The beautiful bottle design makes it the perfect stand-out item on our fire place. There’s nothing nicer than coming home to a lovely smelling home, and especially at this time of year I love to light a few candles and make the place feel warm and cosy. 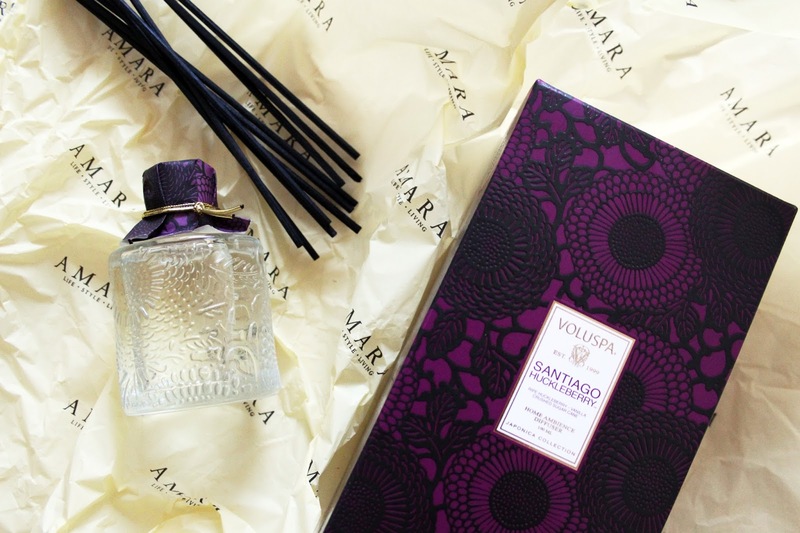 Why not take the test to see which home fragrances suit your personality the best! "VICHY IDEAL BODY BALM | REVIEW"